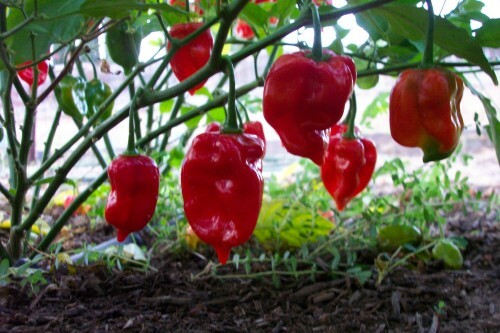 Red Savina-(Capsicum chinense)-After 2006 it was no longer the World record holder for heat at 550,000 Scoville units. But it is still one of the Hottest Chiles in the World and has a great flavor too! A great Habanero for the novice gardener. Plant produces an abundance of huge red flavorful pods. Genuine Red Savina seeds are only sold through authorized dealers that get their seeds from Frank Garcia. The Red Savina chile plants get up to 4 feet tall.